Though the lure of championship golf courses, world-class tennis facilities and miles of beaches may keep you within city limits, it does pay to venture out of your comfort zone. Plan a day trip and explore surrounding area, where many popular destinations including Charleston, Savannah, Daufuskie Island and Bluffton are located within a short 1-2-hour drive from Hilton Head Island. Armed with your spirit of exploration, see what historic and beautiful things you’ll uncover in the Lowcountry area. 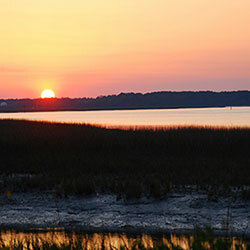 Daufuskie Island is a popular retreat, located away from the typical tourist route and is favored by visitors who prefer a local island lifestyle. This lifestyle draws music lovers and southern bands considered to be ‘down-home’style. The full-time population is around 430. There are two resorts, a private residential community, and a large undeveloped tract of lands identified as residential property. There are no bridges that connect Daufuskie with mainland South Carolina; therefore all island access must come by boat. Ferries are run from Hilton Head Island twice a day that connect the island. Calibogue Cruises offers unique guided tours and has several round trip ferries a day that transport residents and tourists. The Haig Point Club has its own private ferry service. Additionally, the Daufuskie Island Club runs its own ferry service, which is also contracted by the county to provide public ferry services between Hilton Head (Salty Fare Embarkation Center) and the Melrose Landing on Daufuskie. Residents of the clubs, as well as some of the other residents on the island, use golf carts and bicycles to travel around the island, although there are a handful of cars and trucks, too. Savannah has more than 300 years of history for our visitors to explore! You’ll discover all the charm, beauty and history this city has to offer whether you take one of the many walking, carriage, trolley, or bus tours. Tours not only cover the history of Savannah – they also point out locations where over 30 movies have been filmed including, Forest Gump, General’s Daughter, and most famously known for John Berendt’s bestseller Midnight in the Garden of Good and Evil (known to locals as “The Book”). Ghost tours on haunted trolleys can be seen at night. 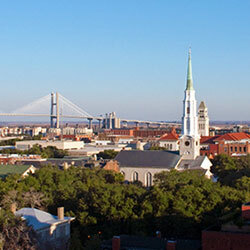 One of the most popular tours is Old Savannah Tours'”Paula Deen Tour”. Narrated trolley tours are a wonderful way to see the sites and learn about the city. If you aren’t up for the hour drive to Savannah, you can hop on Hilton Head’s Vagabond Cruises, leaving from Harbour Town on Hilton Head. 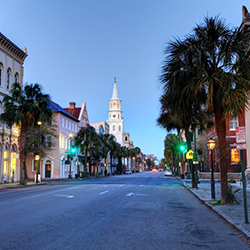 The ‘Spirit of Harbour Town’will take you directly to Savannah’s River Street, where you can enjoy four hours to shop, dine and sightsee on one of Savannah’s many tours. Savannah is ‘Old South’with its moss draped live oaks, cobble stones streets, beautiful squares and stately mansions—visitors will be taken back in time as they wander the streets. Beaufort, located about an hour drive from Hilton Head, is a romantic and popular tourist destination known for its history. You are invited to experience the beautiful Beaufort, Port Royal and Sea Islands region where you will find a veritable haven of history and heritage, arts and culture; all wrapped in friendly and warm hospitality. Imagine water and marsh as far as the eye can see in any direction. The vivid streaks of the summer sunset may call your attention to the horizon, while the spectacular array of long-legged birds keeps you riveted to the water’s edge until you notice dolphins frolicking behind a boat further away. Moss-draped oaks accompanied by the native palmetto trees offer the unmistakable reminders that you have arrived in the magical coastal are of South Carolina known as the Lowcountry. Hundreds of islands, with most of the inhabited ones connected by bridge, are dotted among rivers, bays and sounds flowing between the Intracoastal Waterway and the Atlantic Ocean. Photographic scenery and temperate year-round climate provide the packaging for the rich content that makes the area a special treat for visitors. Charleston, known as one of the most charming and romantic cities in the United States, is only about a 2-hour drive from Hilton Head. Charleston’s rich history dates back to 1670 when settlers established Charles Town Landing. Today, more than 300 years later, the city features a rich history and culture that hardly could have been imagined 3 centuries ago. You can go on walking tours and experience the beautiful Historic District of Charleston, or you can take one of the many carriage tours that they provide in the great city. Head up early, in time to have lunch (or breakfast), and stay for an early dinner: there are over 500 restaurants to choose from. 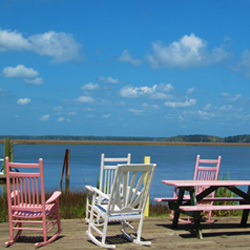 Located just across the bridge from Hilton Head Island, Bluffton is a picturesque, charming town. Character homes, historic churches and unique shops line the streets of Bluffton’s downtown historic district, with true Lowcountry style. 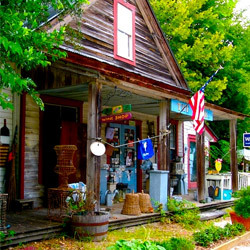 Bluffton, a town whose name refers to its location atop a scenic bluff along the May River, is home to numerous renowned restaurants, accommodations and popular shopping centers developed along U.S. Route 278, which connects Bluffton and Hilton Head Island. Bluffton is also home to a very popular Famers Market, which is open every Thursday from 2-7pm. With the Atlantic Ocean nearby and an abundance of entertainment and recreational activities, it is easy to see why Bluffton is the fastest growing area in South Carolina.